There are many, many symptoms of a broken performance measurement process, and while I don’t particularly want to dwell too long on this topic, you might find it useful to have a quick reference list of most typical of these symptoms. It can be useful for you to diagnose where your own performance measurement process might be in most need of attention, and can also provide a discussion point to get your colleagues and staff to start thinking differently about how to make measurement work. I’m sure if you were to have this conversation in your organisation, you’d come up with a few different symptoms to those listed above, but the majority of them would overlap with those on this list. The power in knowing what problems your performance measurement process has is that when you’re conscious of them, you can do something about them. And when you understand how the fundamental performance measurement process works, you can figure out how you can do something about them. 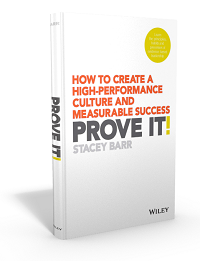 Part 2 will give you a framework for how to start fixing your performance measurement process. Which of the 36 performance measurement process problems have you got right now? Do you have any others, not listed in this article? Note them down, and stay tuned for Part 2 of this article, so you can start diagnosing which parts of your performance measurement process need improvement. the receptors, who are the managers, the senior executives or members of boards . They are in fact our clients who should be able to understand us clearly so they can act accordingly for improvements or corrections of their business, and this is at the end our top- most goal. So for a total success to the KPI’s or the performance measurements ,they should be presented , explained in an easy and clear way to the busy exectives.. 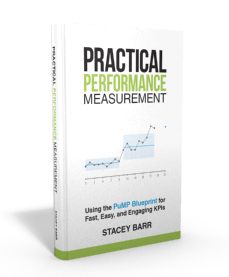 In my opinion we , as performance measurement practitioners or business analysts we should study a little NLP skills and I hope Stacy that you could find a link between the successful measurements and NLP..
That would be of a great help to us all.. Thanks Stacy a lot for your wonderful articles..